New York: Microsoft briefly overtook Apple on Monday as the world's most valuable company by market capitalization before slipping back into second place. market capitalizationNear 1800 GMT (10pm UAE), Microsoft hit an overall market capitalization of $812.9 billion (Dh2.99 trillion), just ahead of Apple's $812.6 billion, according to Bloomberg News. However, Microsoft's surge to the top spot was short-lived. In late-afternoon trading, Apple's value was $822.9 billion, about $7 billion above Microsoft's. The Nasdaq has fallen more than 12 percent since the end of September, with high-flying tech names experiencing big drops. Just last month, Amazon and Google parent Alphabet were also ahead of Microsoft in market capitalization. Apple has been under pressure since a November 1 earnings announcement when it reported strong jumps in quarterly profits but notched weaker-than-anticipated iPhone sales and a disappointing outlook for the key holiday period. Apple has fallen about 23 per cent since the end of the third quarter. 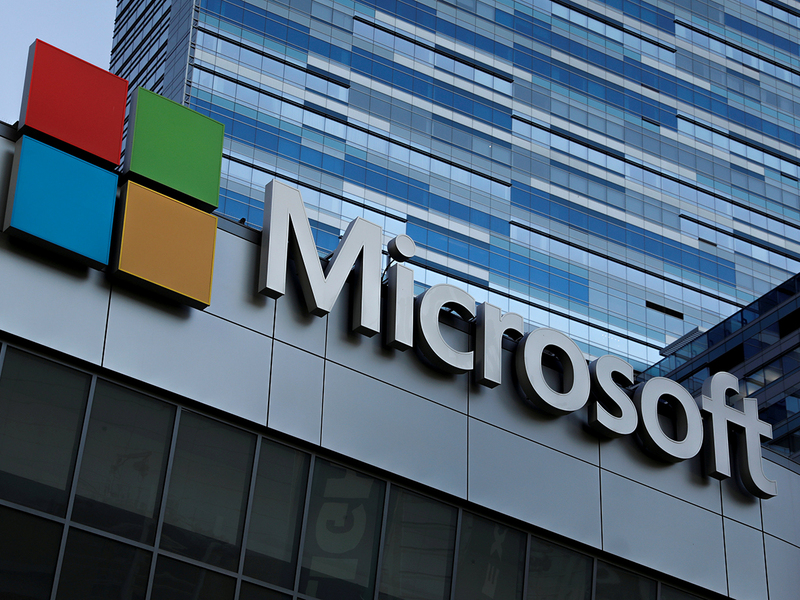 Microsoft, which is led by Satya Nadella and works in cloud-computing and other businesses, has lost a relatively modest 6.7 per cent over that period.